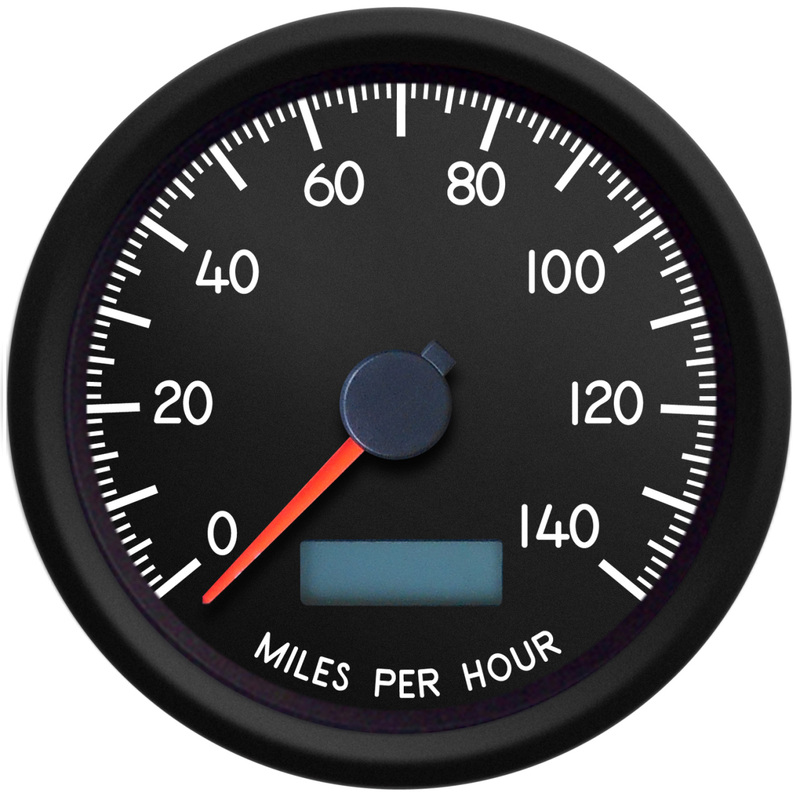 New Vintage Aviator series gauges are designed to be a rugged gauge that will take the abuse you throw at it with stepper motor accuracy. Race, off road or daily driver these gauges are built to withstand the rigors of your high performance vehicle. 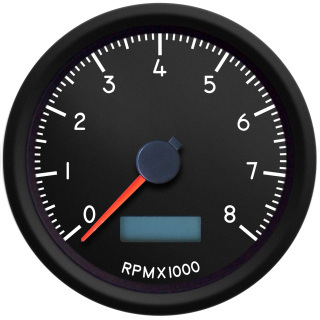 The gauges feature a shock dampening o-ring with spin-on back clamp. They are water proof from the rear and withstand 35 PSI pressure from the front. 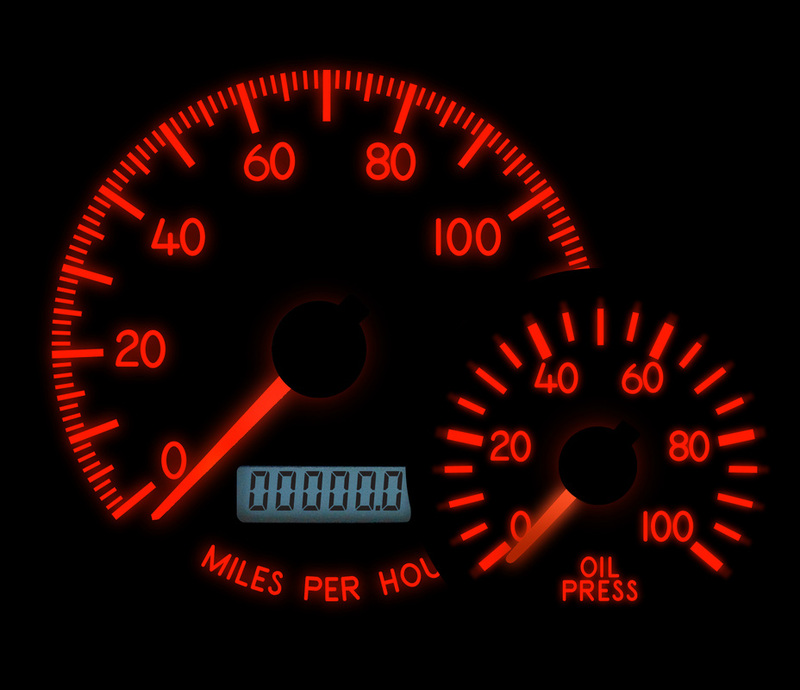 Gauges are back-lit and glow red at night for minimal eye dilation at night. Gauges feature a flat glass and black bezels for excellent open vehicle viewing with a look great for any vehicle. Instruments are designed for easy installation. 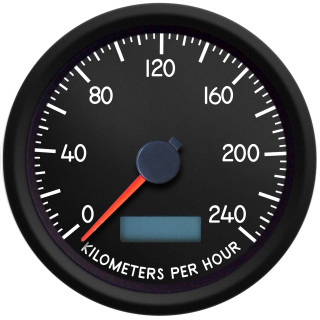 Speedometers operate from any speed signal from 3,000-64,000 PPM , OE, aftermarket or GPS (sender not included, check your application) and are easily programmed by entering calibration mode and driving a mile, that’s it! 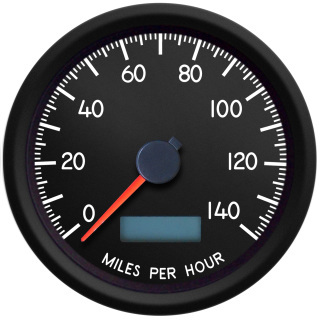 LED backlit dials for easy viewing at night while retaining the style you have come to expect from NVU. 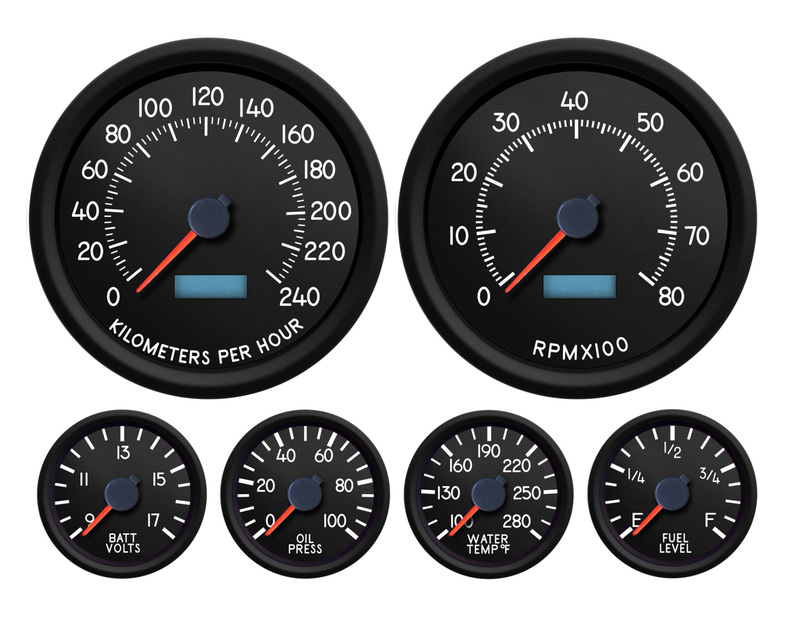 Kit includes: 3-3/8” speedometer, wiring harness and plug, spin-on back clamp, programming button and detailed instructions. Programmable tachometers are the most flexible instruments available today. Easily programmed to any input pulse count. Can be used on any ignition system: points, electronic, PCM, CDI, MSD, alternator, crank trigger, anything that sends a signal. Simply set the pulses per revolution and the tach is set for your application. LED backlighting for easy viewing at night. 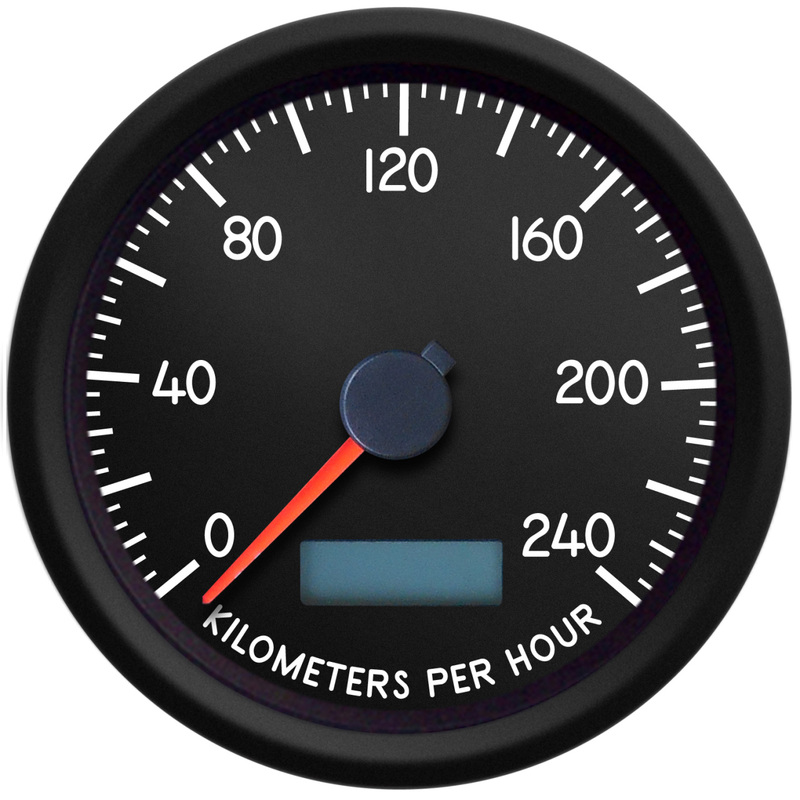 User settable outputs for shift lamps and triggers are also included. 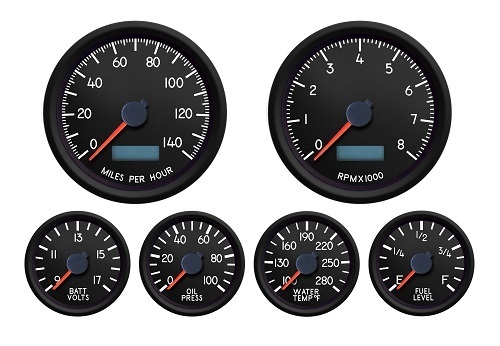 Includes: 3-3/8” tachometer, spin-on back clamp, programming button, detailed instructions, wiring harness and plug. 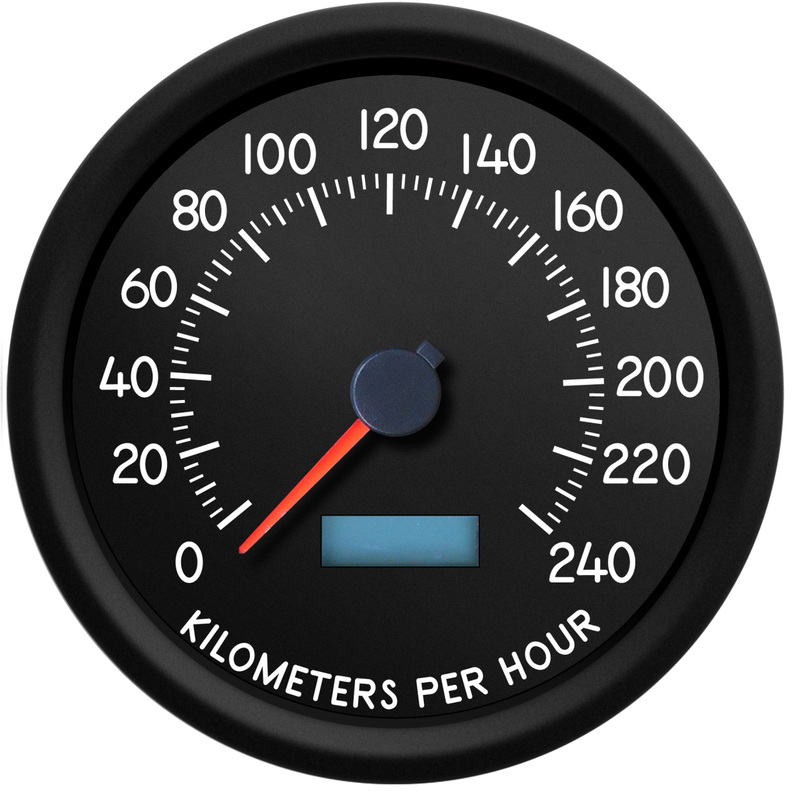 Speedometers operate from any speed signal from 3,000-64,000 PPM , OE, aftermarket or GPS (sender not included, check your application) and are easily programmed by entering calibration mode and driving a mile, that’s it! 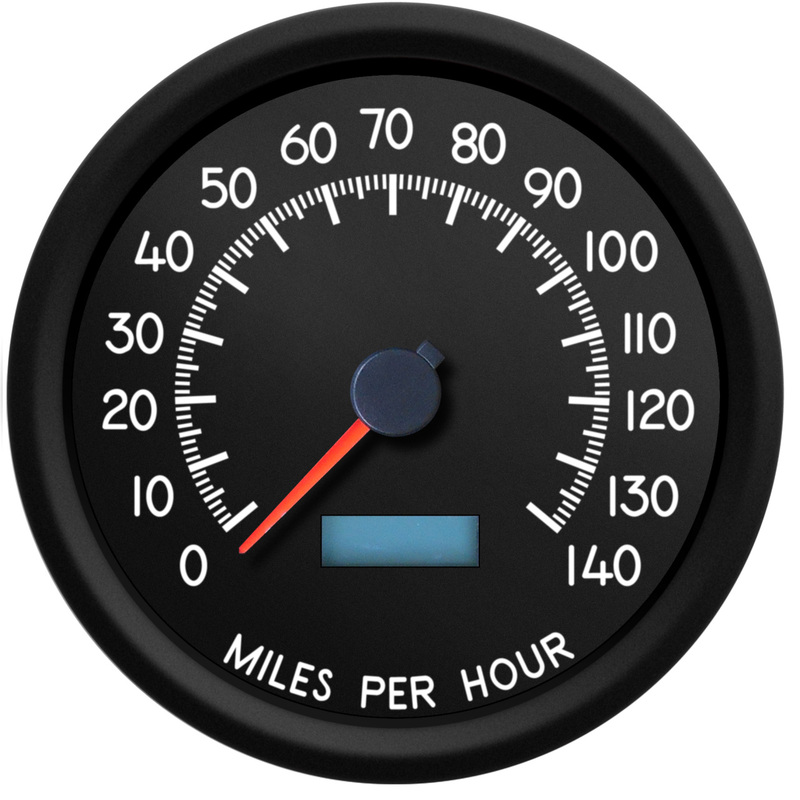 LED backlit dials for easy viewing at night while retaining the style you have come to expect from NVU. Kit includes: 4-3/8” speedometer, wiring harness and plug, spin-on back clamp, programming button and detailed instructions. Programmable tachometers are the most flexible instruments available today. Easily programmed to any input pulse count. 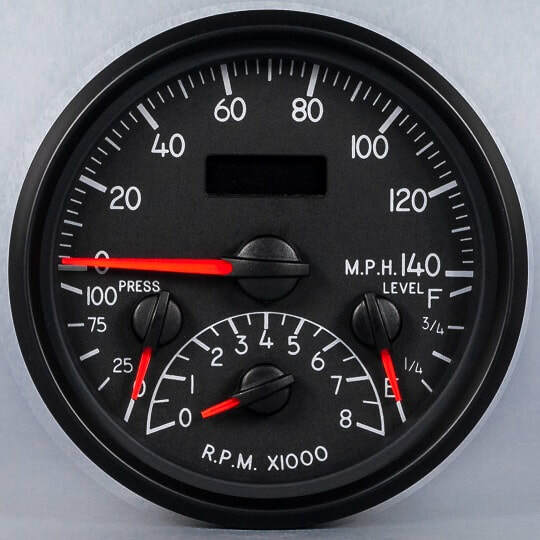 Can be used on any ignition system: points, electronic, PCM, CDI, MSD, alternator, crank trigger, anything that sends a signal. 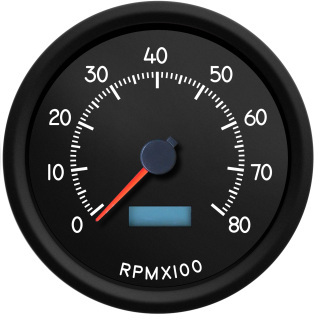 Simply set the pulses per revolution and the tach is set for your application. LED backlighting for easy viewing at night. 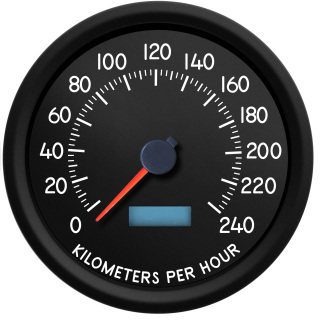 User settable outputs for shift lamps and triggers are also included. Includes: 4-3/8” tachometer, spin-on back clamp, programming button, detailed instructions, wiring harness and plug. 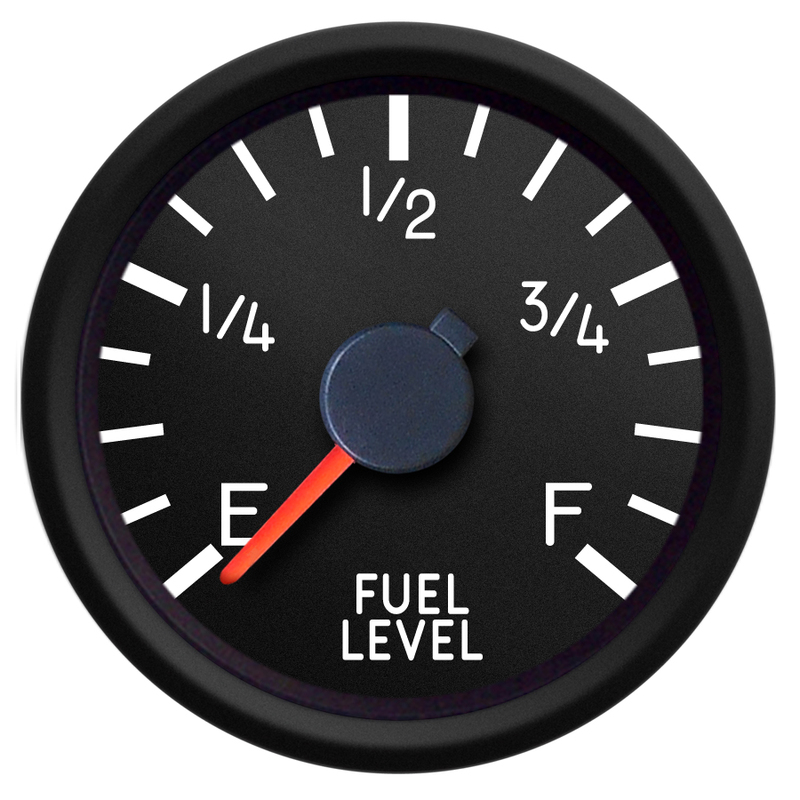 Fuel gauges feature user selectable inputs, can be used on a wide range of OE and aftermarket fuel senders, no need to drop the tank. 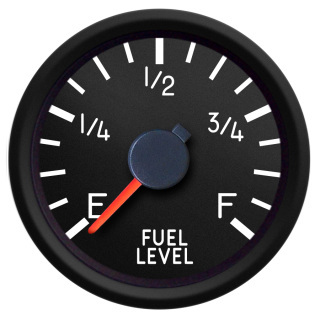 :0-90 (GM), 73-10 (Ford), 240-33 (universal), 16-158 (Ford late). LED backlighting and full sweep readout with great looks you have come to expect from NVU. Oil pressure gauges feature LED backlit dials and pointers with full sweep analog readout for precise readings. 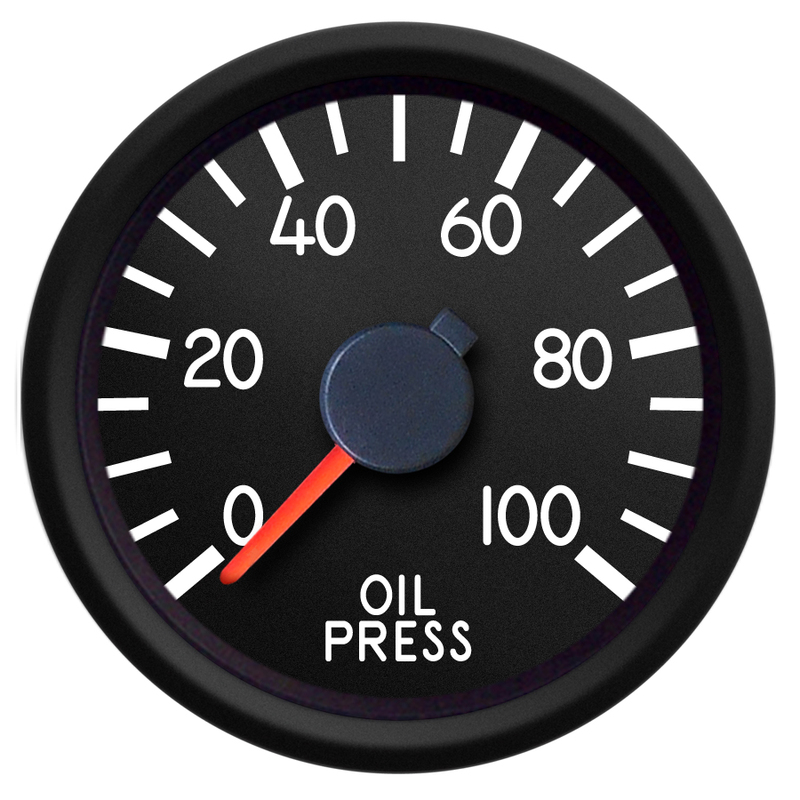 Kits include gauge, spin-on back clamp, 240-33 ohm, 0-100 PSI pressure sender (1/8-27 NPT thread) and detailed instructions. Gauge reads 0-100 PSI. 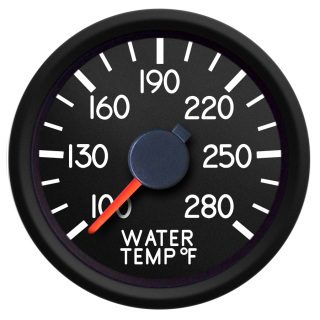 Water temperature gauges feature LED backlit dials and pointers with full sweep analog readout for precise readings. Kits include gauge, spin-on back clamp, our hi-match temperature sender (1/8-27 NPT thread) and detailed instructions. Temperature readings from 100F-280F. Oil temperature gauges feature LED backlit dials and pointers with full sweep analog readout for precise readings. Kits include gauge, spin-on back clamp, our hi-match temperature sender (1/8-27 NPT thread) and detailed instructions. Temperature readings from 140-320F. Transmission temperature gauges feature LED backlit dials and pointers with full sweep analog readout for precise readings. Kits include gauge, spin-on back clamp, our hi-match temperature sender (1/8-27 NPT thread) and detailed instructions. Temperature readings from 140-320F. Transfer case temperature gauges feature LED backlit dials and pointers with full sweep analog readout for precise readings. Kits include gauge, spin-on back clamp, our hi-match temperature sender (1/8-27 NPT thread) and detailed instructions. 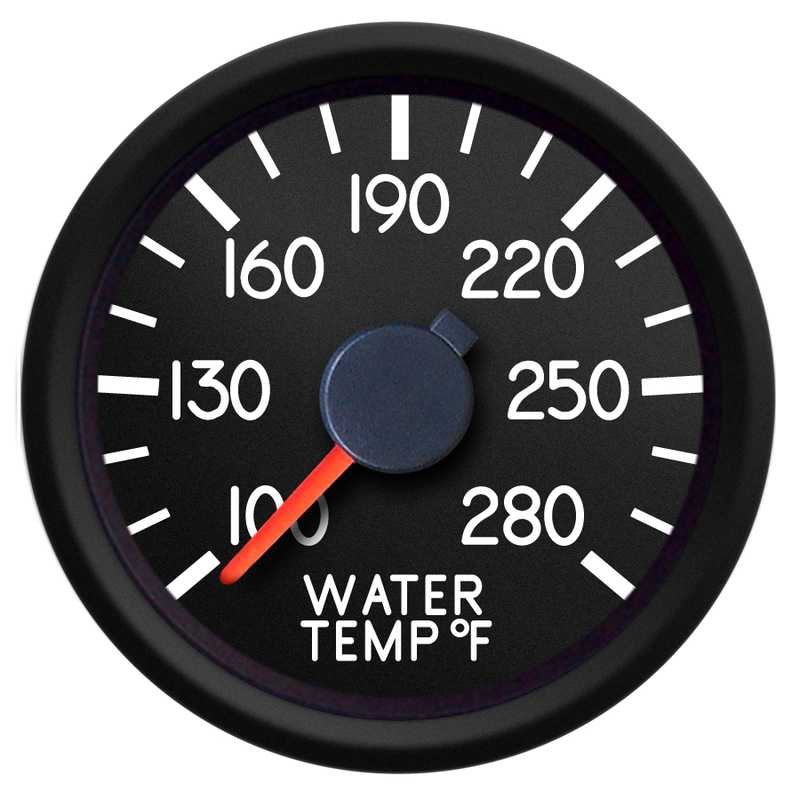 Temperature readings from 140-320F. 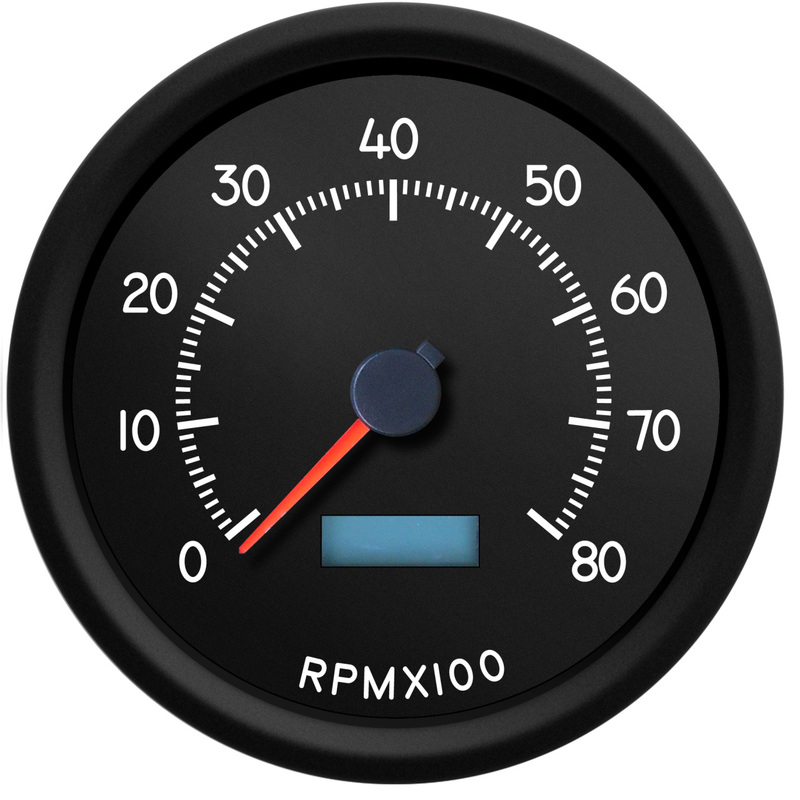 Axle temperature gauges feature LED backlit dials and pointers with full sweep analog readout for precise readings. Kits include gauge, spin-on back clamp, our hi-match temperature sender (1/8-27 NPT thread) and detailed instructions. Temperature readings from 100F-280F -OR- 140-320F. 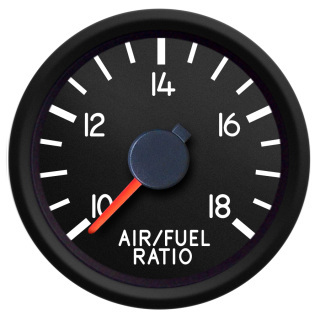 Air-Fuel ratio from NVU feature an LED backlit full-sweep analog readout of your AFR. ARF readings from 10:1 to 18:1 with 14 straight up make monitoring your mixture at a glance a breeze. 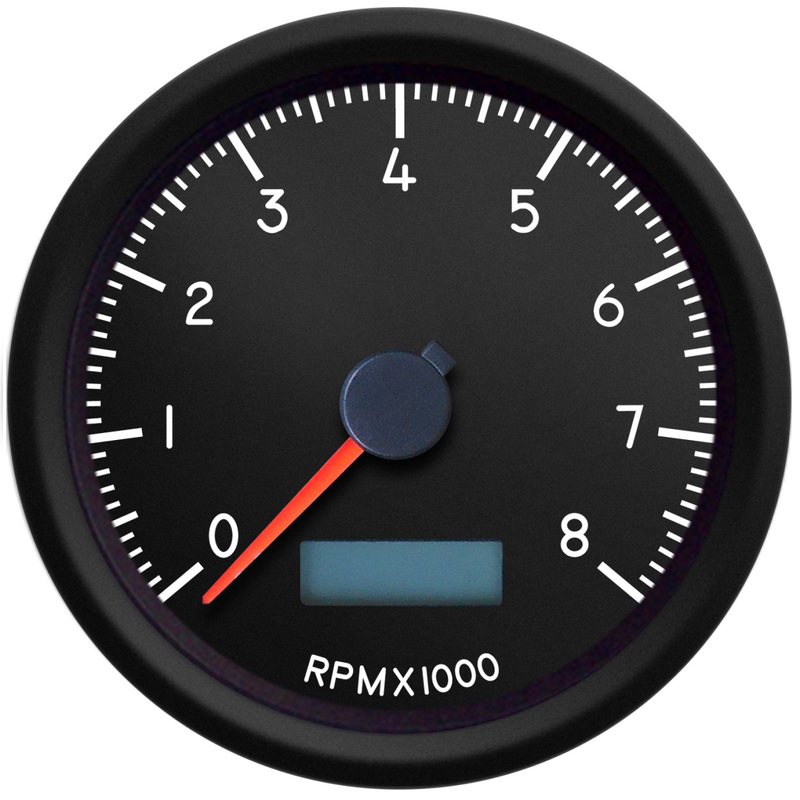 Gauge operates from any controller or PCM output. Input ranges are user selectable :0-5V, .5-4.5V. 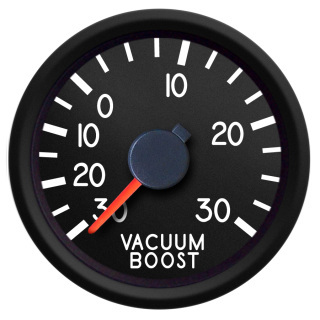 Vacuum-boost gauges are fully electronic, no tubing to kink or break! 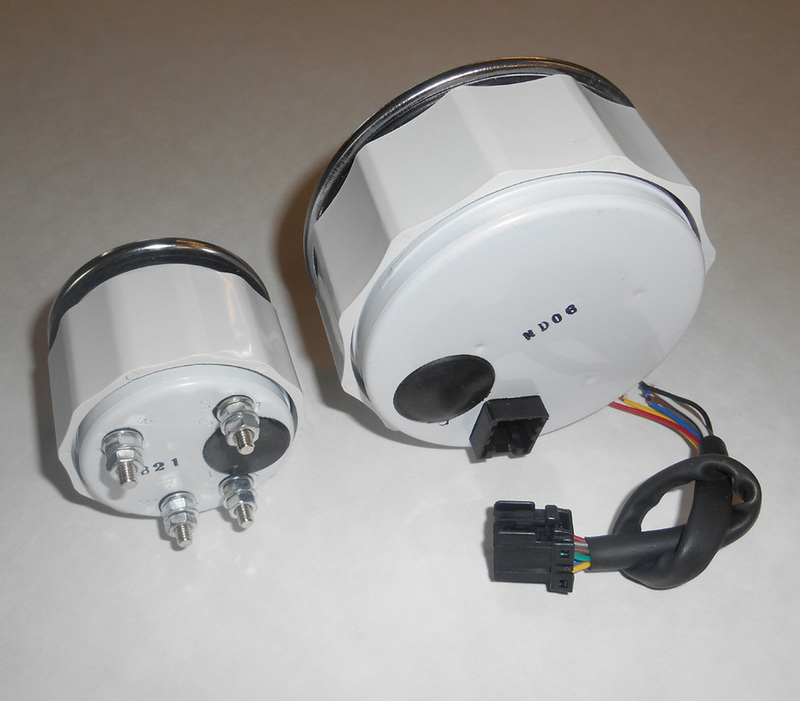 Simply install the compact MAP transducer and wire it up, makes for a very clean installation. 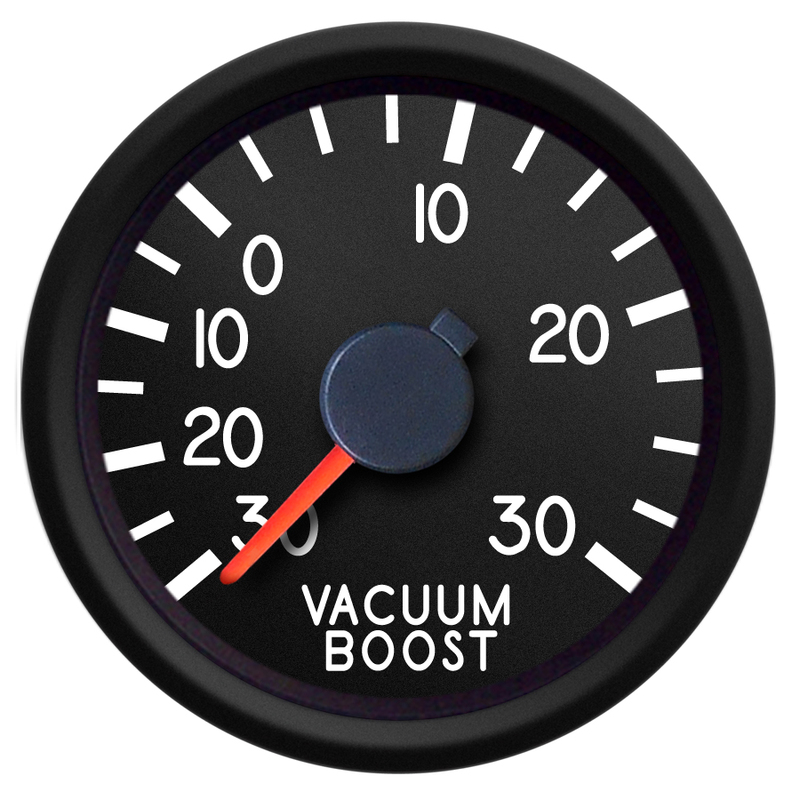 Kit includes gauge, spin-on back clamp, VAC/BOOST transducer (1/8-27 thread) and detailed instructions. 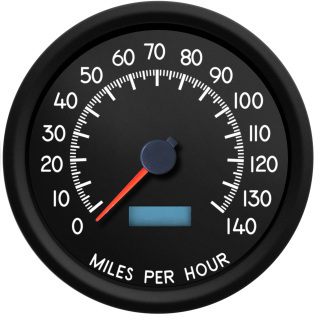 Fuel pressure gauges feature LED backlit dials and pointers with full sweep analog readout for precise readings. 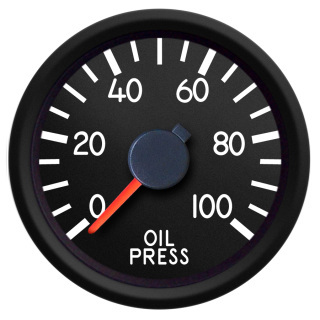 Kits include gauge, spin-on back clamp, 240-33 ohm, 0-100 PSI pressure sender with floating ground (1/8-27 NPT thread) and detailed instructions. Gauge reads 0-100 PSI.